The ordering of any Wicked Artz Cartoon product featuring ANY of our Wicked Artz Cartoon vehicle images, is total confirmation of your understanding and acceptance of this above message. DETAILED BELOW ARE THE RANGE OF iPHONE MODEL COVERS CURRENTLY AVAILABLE. TO ORDER, YOU WILL NEED TO FIND YOUR CAR FROM WITHIN THE 4 OPTIONS IN THE TEAL COLOURED TOP BANNER (WICKED ARTZ BY DUC K, WICKED ARTZ CARTOON CARS, WICKED ARTZ MOTORCYCLES AND WICKED ARTZ WACKY CARTOONS) CHOOSE THE CAR MANUFACTURER, SEARCH FOR YOUR VEHICLE AND THEN CLICK ON THE ACTUAL CAR IMAGE. THIS WILL OPEN A NEW PAGE, CLICK ON THE 'SELECT YOUR ITEM 'DOWN ARROW' AND A POP UP BOX WILL APPEAR, SELECT IPHONE CASE/COVER, THEN CHOOSE YOUR iPHONE MODEL FROM THE DROP DOWN 'SELECT IPHONE MODEL' BOX. IF YOU WANT TO ORDER MORE THAN 1 PRODUCT, SAY A PHONE COVER AND A COFFEE MUG, THEN AFTER YOU HAVE SELECTED YOUR FIRST ITEM, JUST CLICK ON THE 'CONTINUE SHOPPING' TAB AND THEN ORDER YOUR SECOND ITEM. IF YOU WANT A THIRD PRODUCT JUST REPEAT THE PROCESS. We are now able to offer all of our pictures onto a great range of covers for the Apple iPhone. The image is printed using dye sublimation onto a special metal insert, so this is not a cheap sticker. 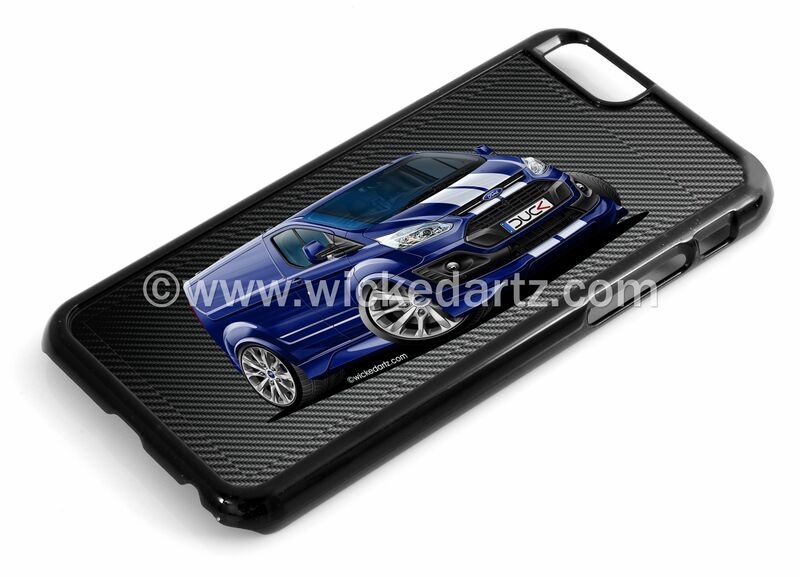 We have added a carbon fibre effect background for maximum effect, see pictures above, on which sits the great cartoon car image, this then forms the back of the cover. The covers are available for the following iPhone models: iPhone 4/4S, 5/5S, 5SE,5C, 6/6S, 6 Plus, 7/7S, 7 Plus, 8/8S, 8 Plus and the latest X (Ten) and are all priced at just £15.00. The covers are all black except the iPhone 5C which is a clear plastic, this way you can see the unique colour of your 5C phone through the cover. Just select iPhone Case from the drop down 'Select iPhone model' box when viewing your car picture and then select your iPhone model from the list of phone case options. 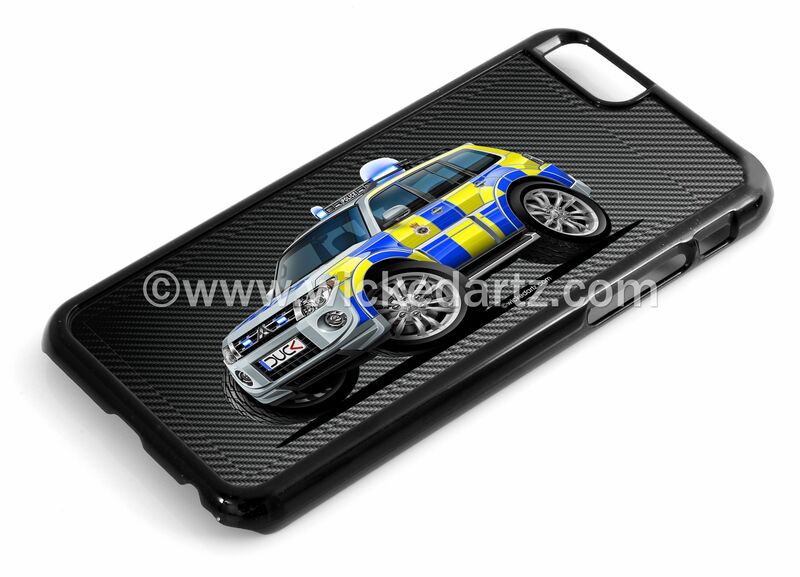 All our iPhone cases do INCLUDE a registration number, or name, on the vehicle number plate, please just add your details in the box when completing your order.